Thanks to Hannah Bethal for including me on this incredible record mixed by Jeff Juliano. Truly the BEST of 2014. Thanks to Razor & Tie Music Publishing, Brennin Hunt, Drew Middleton, Chris Raspante (The Side Ways), Bill Sjulian, Tom Bryant (Less Talk), Joe Gilder (www.homestudiocorner.com), Amanda Watkins, André Stach, and many more for making 2013 a busy and successful year. All drums recorded here at my overdub studio. Check it out!!! 3 passes on my Custom Series Kit- 8.5×13, 13×16, 16×22. First pass is a floor tom loop played with broomsticks. 2nd pass is a world groove on the toms, tuned in the low register of their tuning range. Final pass is a funk backbeat with ringo/steve jordan style fills, tuned at the top end of their tuning range. Tracking in my studio with my homemade ?uestlove HipHop Kit. 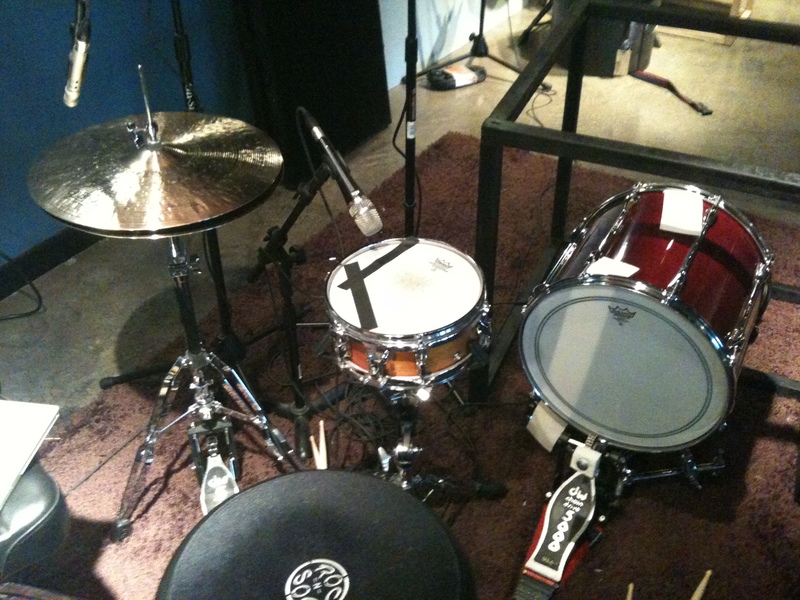 Paiste 16″ HiHats, a Yamaha 10″ Snare, and yes, that is a Yamaha 16″ Recording Custom Tom for a kick drum. Listen to the Roland 808 tone this thing produces ACOUSTICALLY!!!! Mix by my friend Joe Gilder at homestudiocorner.com. A compilation of drum tracks that were recorded in my studio for Scott Fairclough, Jason McKinney, and Brian Hitt. A compilation of drum tracks that were recorded in my studio for Brian Hitt and Brennin Hunt.